Right now, our visitors pay good money to come to our tiny Ipukarea to experience the beauty of the environment on land, lagoon and ocean and to enjoy the holiday of their dreams before heading back to their own homes. They came here for the clean air, the green hills and flowers and immaculate gardens and the beautiful lagoons and friendly people to host them and while doing so, they generate more than $200 million annually to our local economy. Does anyone really think that paying guests will come to a destination that has been polluted from the byproduct of mining – if it were to go ahead? Of course not, they will go elsewhere. Actually, I am not necessarily a fan of tourism. That seems to have gone into overdrive in the past couple of years and seems to have created a certain level of environment and infrastructure issues of its own. These include periodic shortages of water supply in parts of the island, an inadequate septic system – and of course, our roads could do with a bit of an upgrade. However, those issues are being addressed albeit with mixed results thus far, but will fade into the background in comparison to the irreparable damage to our ocean environment and leisure industry that a high-risk industry such as mining would cause. Honestly, can the advocates of mining point to a place anywhere in the world where mining has not polluted the surrounding environment? But there are plenty of instances about the adverse effects of mining. Papua New Guinea, one of our Pacific neighbours, has had its fair share of horror stories in relation to mining. 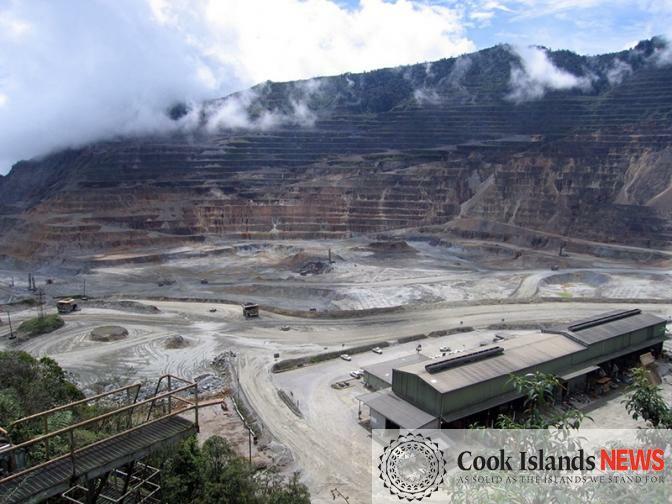 There was, for instance, the notorious case of the OK-Tedi gold mine in PNG where the toxic by-product of the process of extracting the gold were released into the OK Tedi and Fly rivers and poisoned the water and killed all the fish. (By the way, the by-product is arsenic for those who are wondering). After a media campaign in Australia to expose the malpractice of the mining company and a court case against them for their misdeeds, the mining giant negotiated to pay a tiny fraction of the costs to remediate the environmental damage and eventually walked away from the mine. PNG was left to deal with the mess the mining company left behind. There are other case, but the point is that mining companies have very deep pockets to retain the highest paid legal minds from anywhere in the world to defend their position, while our Government has the services of the Commissioner and Crown Law. In a battle between global giants vs idealistic local lawyers, it is not going to end well for us. One last point: even if the nodules are worth zillions of dollars – which is uncertain – the Government will only receive a tiny percentage of the value via royalty payments. It is rather like our tuna fishing industry, where tuna is sold at $20-30 per kilo, but that Marine Resources have signed away for a few cents per kilo. Enough said. The byproduct from deep sea mining of our nodules will be the huge amount of “plume” of the muck that constitutes the seafloor. Apparently the nodules will be either scooped up or vacuumed upward and then the seawater will be released back to the ocean. How to return vast quantities of dirty water to the ocean without causing an environmental disaster sounds like mission impossible to me. The upside is that the byproduct will not be arsenic, as with the OK Tedi case.